One Bronx, United for Climate Justice. Que es la justicia climatica? Sustainable Buildings Questionnaire – How Green is Your Building? 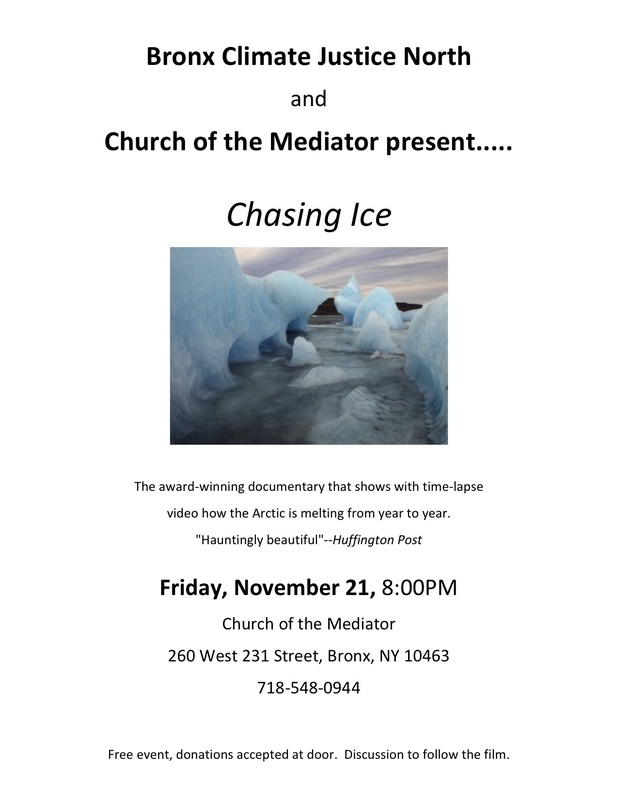 BCJN, at times in partnership with the Church of the Mediator in the Kingsbridge section of the Bronx, has a film series featuring award-winning eco-documentaries. 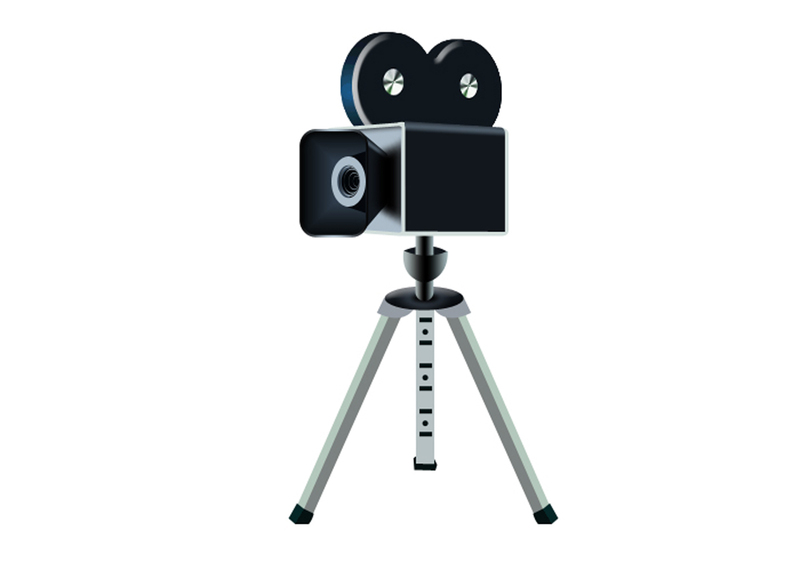 Through the series, we hope to educate the public about environmental and climate issues of vital importance. 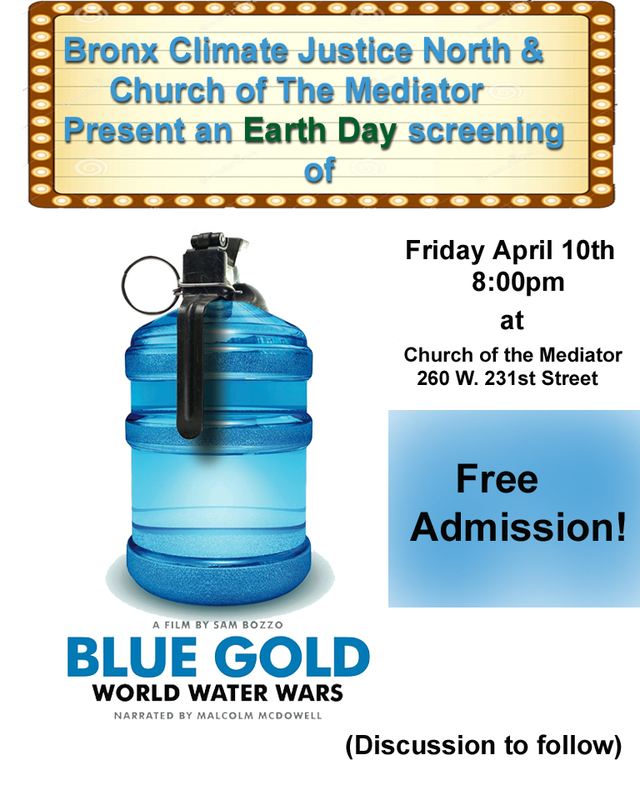 All screenings and discussions are open to the public and free of charge. Donations are welcome. 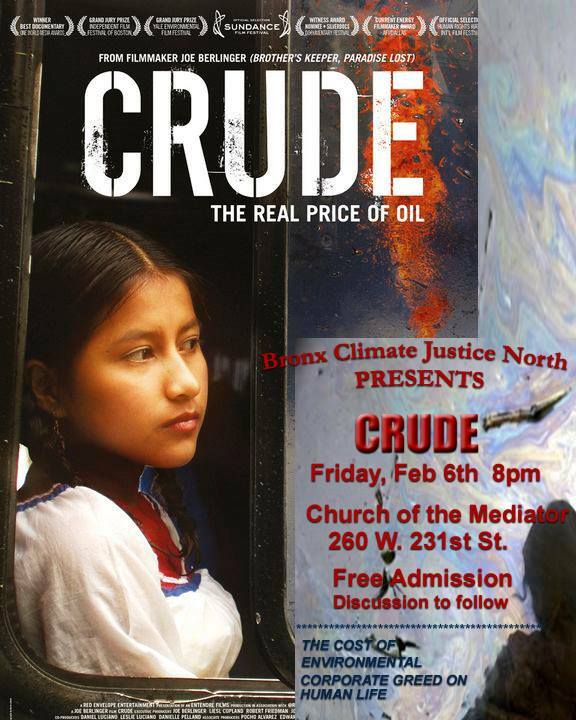 Our 8 films to date have been Chasing Ice, Crude: The Real Price of Oil, Blue Gold: World Water Wars, This Changes Everything, Disobedience. and How to Let Go and Learn to Love All the Things Climate Can’t Change, Awake: A Dream from Standing Rock, and MLK’s Beyond Vietnam-the 50th Anniversary Conversation at Riverside Church with Michelle Alexander and Ruby Sales. See our flyers below. BCJN & the Community Assn of Marble Hill screening & discussion of the April 4, 2017 event at Riverside Church commemorating the 50th anniversary of Dr. Martin Luther King Jr’s “Beyond Vietnam: A Time to Break Silence” speech. Endorsed by Northwest Bronx Community & Clergy Coalition.